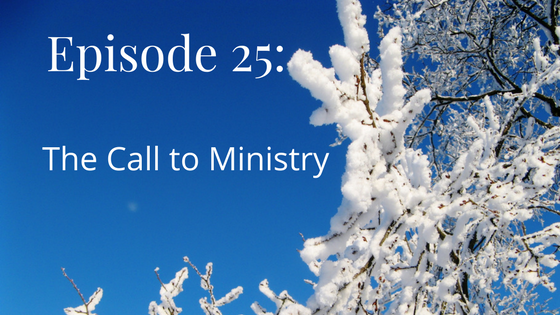 This time we’re talking about the call to ministry with references to section 5A of Traditional Quaker Christianity. One of the first things you see with a call to ministry is often a feeling of inadequacy or humility. Jonah doesn’t want to go to Nineveh. Jeremiah doesn’t want to prophecy. John Woolman doesn’t want to preach. Who is a minister? Or who experiences a call to ministry? In the early days, the definition of minister and what activity qualified as ministry was much broader. A lot more counted as ministry in the 17th century. On the other hand, by the 19th century, the call to ministry was understood in a more limited way. It meant you spoke profitably (helpfully, prayerfully, prophetically, usefully, etc.) during meeting for worship. That narrow definition of ministry is still very popular among unprogrammed Quakers. That’s true of both liberals and conservatives. Similarly, many Christians think of a minister as someone ordained and paid to preach on Sundays. We’ve discussed before that for us, ministers are recorded, not ordained. There’s a more expansive view of ministry reemerging, more like that of the early Quakers. Other Christians are starting to refer to things like “music ministry” for whomever plays music during their worship services. We’ve heard one example of “music ministry” among liberal Quakers as well, musician Jon Watts. Traditionally, ministry among Quakers hasn’t been a full-time paid job. It really hasn’t been a career. We talked before about how spiritual dryness can arise when someone preaches beyond their call. That’s more of an issue with no career to fall back on. Micah still finds it really nice to have the opportunity to be paid (or, in Quaker terms “released”) for ministry. Conservative Quakers remain the most skeptical of paid ministry. That feeling exists in other branches too. Both of us have heard Evangelical Friends talk about the reservations they have regarding paid ministry. Liberal Quakers sometimes have short-term grants for things that are ministry only in the broad sense. Nowadays, we tend to think that extemporaneous speaking with no preparation is “more spiritual,” but Micah thinks this might contribute to the very short messages we hear today (versus the sometimes hour-long messages of two centuries ago). Sometimes a message starts forming before meeting. Or it forms over the course of several meetings. Or it would need a 3 hour long meeting for worship to be complete. Message lengths seem to be proportional to meeting length. 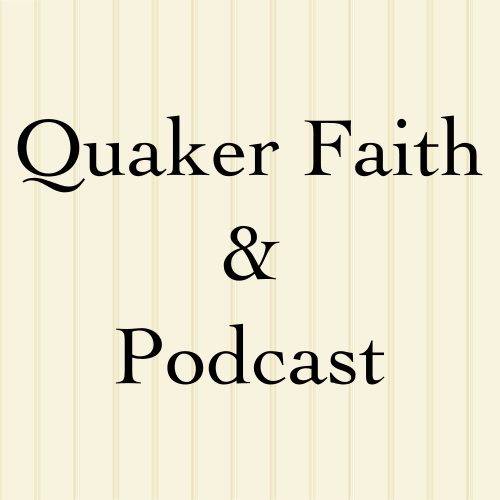 Welcome back to Quaker Faith and Podcast. We are your host Mackenzie and Micah, and today we are looking in book Traditional Quaker Christianity at section 5A, which is talking about the call to ministry. What that means for various denominations can vary quite a lot. In the book it talks about that the call as talked about in the book of Isaiah involves this like really humbling feeling of inadequacy before, and sort of being like, Oh I’m not, I can’t, I can’t be the one that’s gonna, and then fine like, okay, okay yeah, fine it’s my job so. Okay I’ll say the thing, which you see with Jonah running away, not going to Nineveh, and getting swallowed by the big fish. It’s not a whale, and then finally being like, “Okay, fine I’ll do this thing,” and going to Nineveh. But then the chapter continues asking who ministers, and who are ministers, and it talks about how for early friends at least there was the idea that it’s not the fact that you went to seminary that makes you qualified to preach. That there is an inward thing involved, and that that is a gift, and it’s God choosing who he would have speak for him.Micah: Well, in the early Quaker movement I think there is a lot evidence that there was a pretty broad understanding what ministry was. Also, pretty broad understanding of what being an elder or an overseer, the terms are used interchangeably, what that meant. Both ministry and elder ship or oversight were seen as very broad things that can involve a lot of different kind of activities, and a lot of different kinds of spiritual gifts. In later Quakerism the understanding of these gifts became much, much narrower and much more prescribed and specific.Mackenzie: The word ossified comes to mind. Mackenzie: Which means sort of turned to bone, or just hardened and solidified. Micah: I think that’s fair, but narrowed too, and in sort of what you might call classical. What I sort of think was classical Quakerism, which is sort of Quakerism from the quietest period like in maybe the 1700 and 1800s. Quakerism defined ministry fairly strictly as the gifts that allowed for prophetic ministry in the meeting for worship, and so ministry was primarily about, as I understood, as ministers were recorded in these early meetings. Ministry was understood to be about speaking profitably in meeting for worship. It was about preaching. Then they would also … Just to mention this because it was like a part of the metrics. You can’t understand one without the other two. The other two offices that Quakers had, that they established over time were elder and overseer. An elder was primarily about the spiritual care of the meeting for worship. Again the meeting for worship very specifically. Spiritual care meeting for, and for the ministers being those people who primarily spoke in meeting for worship. The elders sort of had charge over that, that whole thing, and then the overseers were focused on sort of the life of the meeting, practical concerns, pastoral care, or stuff like that. It was more sort of hands on, stuff that happened outside of the meeting for worship perhaps. Mackenzie: And nowadays the elders would be called the ministry in worship or ministry in council committee. Micah: Yeah, depending on where you are at. Mackenzie: Okay, like nowadays you’ve got the [inaudible 00:04:16] Quakers that will be like, “Oh, we don’t have elders and overseers anymore.” Yeah, you do. You already named them. Micah: Right, and as happens different groups of Quakers have either kept or modified this stuff in a lot of different ways. I know that out in Northwestern meeting when I have been out there, they have elders, but the elders are not … They are almost like administer of boards. The elders in like Northwestern meeting from what I have understood is sort of an administrative board that takes a lot oversight of the affairs of either the meeting or the early meeting. Mackenzie: Or it’s like my meeting has a board of trustees for the administrative thing. Micah: Right, and I think it’ll be different from trustees. I think they also have trustees, but it’s a little bit different than the [inaudible 00:05:08] elders at other times and places, but I think what we are focusing on right now is ministry. And one of my pet peeves in Quakerism is that in a lot of places particularly in unprogrammed Quakerism, both conservative and liberal, ministry is often very narrowly defined as being speaking in meeting for worship, and that’s what ministry is. I don’t see that in the Bible. I don’t see that in church history as ministry being limited to that. Something I really love about Quakerism including liberal and conservative regions, is this idea of ministry being something that God can do through anybody, and almost inevitably if you as a Quaker were to say to anyone else, “Oh, yeah I’m a minister.” People would immediately assume that you were a pastor of a church, probably a paid employee of the church, and that you had a very specific role. That you preached on Sundays, and you led the worship service, and you did these certain activities. You did pastoral care, all those different stuff, that’s expected sort of in the Protestant or in some cases other groups like Catholics. Things are expected of these officers. Something I love about Quakerism sort of in contrast to this more narrow view of ministry is that Quakers traditionally hold up ministry as something that is potentially for everybody and that it’s not about … Minister is not a job title. Minister is an activity, and a calling of every Christian, and so there this is weird thing in Quaker where on the one hand there is this incredibly restrictive definition of ministry as being like it’s the people who talk and worship, and then on the other hand and this I think, in my opinion the truer part of the Quaker edition. There is an understanding of ministry as being universal, and that different people with different callings and gifts have different ministries, but in a certain manner of speaking we receive our call to ministry in our baptism. That is when we become followers of Jesus we receive our calling to ministry. Mackenzie: See also some past episode where we discussed baptism meaning immersion, and how it doesn’t necessarily have to involve water. Micah: Right. I’m taking for granted that our listeners know that Quakers do not traditionally practice water baptism, but the baptism meaning immersion in Greek, is also a metaphor for being plunged into the spirit, and being cleansed through the spirit, and changed, and turned around, and made a follower of Jesus by the spirit. That’s something I think is really cool about Quakerism. That really you see in very few other sort of established denominations, is this idea that ministry … The Protestant Reformation pays lip service to the priesthood of all believers, but Quakerism, for all its faults Quakerism really does practice it as best. Mackenzie: So I would say that I have heard the term ministry used in ways that don’t just don’t refer to speaking among partisans in terms of talking about like music ministry, or whoever is playing the music for their worship service, but I have also heard liberal Quakers saying music ministry too when referring to like our friend Jon Watts. For those who are not familiar, Jon is a singer and guitarist, and he’s also the guy that makes the QuakerSpeak videos if you have watched those. In his songs or all his songs have a Quaker theme to them, and so that gets described as his ministry. I have also recently heard there is someone who is, let’s just say, an elder in my meeting who has being asking me whether I feel I have support for my ministry, and she is not meaning speaking in meeting. I’m not really speaking in meeting all that often, maybe once or twice a year, but that’s being throwing me kind of for a little piece of thinking like a ministry. Do I have one? Micah: I think to be fair I think the very narrow definition of ministry is probably more common in conservative Quaker circles than in liberal Quaker circles. Both these being on program Quaker [inaudible 00:10:05], but I think you are right, that there is a growing understanding of ministry as being the work that God has called you to do and that’s not bound. That ministry is something that God has called you to do that is not bound by cultural expectations, but instead dictated by the holy spirit. I’m not independently wealthy. I need to a job that pays me money so I can support my family. That is not necessarily ministry or anything else I do. It’s not necessarily ministry. Nothing I do is necessarily ministry. Some things I do because that’s just what needs to get done, but there is a certain type of activity that sort of goes above and beyond the normal. You might even call it supernatural. It’s things that we wouldn’t think to do ourselves, and yet God has called us into it, and this is an interesting point that was raised to me recently actually by my father, Dorlan Bales. I’ll give you a real life example from my life. I am a naturally talented singer, if I had dedicated myself to it I could have sang Opera. I could have been a professional singer. I didn’t do that. I didn’t feel like sort of my vocation in life, like my calling for God was to dedicate my life to doing that, and so you can be gifted in something, and it not necessarily be the ministry that you are called to. So I think whenever you are thinking about ministry gifts are important and God gives us gifts to steward, but at the end of the day sometimes God just might call us to A ministry that we are terrible at, but God uses us anyway. One other thing I would say is that the example I used was I have to go work to make some money to support my family, and so that’s not necessarily ministry. I do wanna say though, it’s nice when your ministry can also the thing that financially supports you. That’s really great, and there is controversy about this in Quaker circles especially conservative Quakers, but also Quaker in general, including you might be surprised to find even [inaudible 00:13:22] Quakers can be very skeptical of ministry that is remunerated, but in my experience there are dangers to it. It can be dangerous to turn ministry into a job in that ministry should be dictated by the holy spirit and it is possible that … I have seen pastors, I won’t name names, but I have seen pastors who have stayed in a pastorate far longer than they maybe should have. Mackenzie: I think we talked about that in the episode about inward states and dryness. Micah: Right. They may stay on for a decade or more longer than maybe God would have had them do because that was their profession then, and they didn’t really have a lot of other work. They didn’t feel like they had a lot of other sort of career trajectories to fall back on, and so that’s a danger. So the danger is real and Quakerism is good to flag that, but I do wanna emphasis that from my perspective it can really be a blessing. I think many of us have experienced this. How great is it for those of us who have experienced this? How great is it to get paid, to be able to support your family for what you feel truly passionate about, what you feel called to do? That’s a really great feeling. That’s blessing, and so I think we don’t wanna lose that either. Mackenzie: One thing with it being a job, and with the possible dangers of it being a job is like I recall a news story about someone who was a priest in I think Church of Canada maybe, one of the [inaudible 00:15:09] I think, where the pastor became an atheist, and then the church was like well … I mean the church Hierarchy was like, “Well you can’t be the pastor anymore if you don’t believe the stuff,” and the congregation was like, “but we like her,” and so that got a little weird. The second thing is [inaudible 00:15:34] speaks about in the early days of Quakerism how they sort of had a broader view of ministry than in the classic days as you put it. Micah: Shawn [inaudible 00:16:26]. Shawn. Shawn. Mackenzie: This is the trouble with hanging out with Micah. Anyway. So they would write things up inspired by the spirit, and then send them through printing press and get copies made or maybe [inaudible 00:16:47] or maybe long hard copies, but they would send copies of these written ministry around to different meetings. And I’m not sure if it was like official while meeting for worship was still going on or if it was like, okay now that we have shaken hands we can read this thing, but they would actually be read publicly like with gathering of Quakers or even standing on a street corner because street preaching was definitely a thing back then and quicker for those people, but it was felt to carry the same weight as ministry during meeting. Micah: It’s an interesting thing because I have found in the Quaker community, and not just within program friends but also to some extent with friends who have pastors and do the sort of pastoral style, but there is often an attitude that real preaching is 100% unplanned and is extemporaneous, and if you wrote it beforehand it’s not as real. It’s more of a lecture or a talk. It’s not really a sermon, or it’s not really ministry, vocal ministry, and I have found that troubling because while I have on many occasions spoken or delivered some other kind of message like song in meeting for worship in an extemporaneous fashion for whatever reason I think it’s mostly training and training and culture, and the expectations of the group. Usually those messages never get beyond two or three minutes long, and they can be very powerful for me and hopefully for the people that hear them, but there is something also powerful about a longer message that’s more in depth and has more detail to it. I have preached sermons or occasionally at different churches, both Quaker and non, but a really good opportunity for me in the last I guess couple of years is I have been preaching … This last year I have been preaching regularly like every month at the Church of the Brethren here in town, and it’s being a good opportunity for me to sort of practice this kind of prepared vocal ministry where you talk about writing in the spirit. That is definitely what I am attempting to do, is prepare my sermons listening to the holy spirit guidance, and there are sort of two stages of potential inspiration because the first comes with my writing, the editing process of the written sermon, but then when I actually get up and preach it. There are two elements here. There is the element of the sermon beforehand and writing it, but then there is the sermon in the moment, in living moment, with the living congregation together, and I use my sermon as a starting point, but I will diverge from it as I feel led. I post my sermons online in text form and that’s the manuscript, but I also post the recording because the recording is often significant. It always different and often significantly different from what’s written, and I do think that while the manuscript has some value, at the very least the spoken version is more relevant and living to the congregation gathered at that place at that time. And so I think it’s interesting that for me there are sort of an interplay between the advance preparation and the writing of the sermon, and actually delivering it at the time. I think of the writing in the spirit that you talked about and how they would read it publicly. I think I would feel to me to be appropriate to read it maybe after the regular meeting for worship, not because the prepared thing would be wrong in a regular meeting for worship, but because a very important thing that’s going on in Quaker worship, and I don’t think any Christian worship, any Christian worship. Christian worship must be led by the holy spirit, and so in any Christian worship no matter what the format is we need to be ready to go off script, and we need to be ready to do things differently as the Lord leads in the moment regardless of what we’ve prepared. And so I think what’s really powerful about me being able to write my sermon ahead of time, and then to deliver it myself, not have someone read it for me, but deliver myself is that I have the opportunity to listen again and to adapt what I’m saying to what’s actually happening in the moment. It’s really cool. Mackenzie: Two things I’m thinking about in regard to that are, one I know of Ashley Lowcocks. I remember her writing on her blog about a time [inaudible 00:22:01]. I might have after VCC gathering maybe where she was there one year and there was a message coming through and see didn’t see it, and so then the next time she was there it was still begging at her, and so she gave the message that time she started out saying, I got this last time and I waited. Technically she got this message before she actually delivered it, but she also got it during meeting. There is some kind of weirdness in there, but I remember saying that when she delivered and because in Church of VCC there is translation, that the Spanish translator I think it was, said I received this message last time we were together but I was unfaithful, and she wanted to object and like, no, no, no. That’s what that is although I didn’t actually say it at the time. Yeah, okay fine. The second thing is that I think the length of meeting for worship has an impact on the length of the messages. I have now completed travels among some evangelical friends up in the Pacific Northwest and so seen the shorter waiting worship, and I would say that the messages there were even shorter than the two to three minutes I’m used to with unprogrammable Quakers, but also an year and a half ago I went to the gathering of the wider fellowship of conservative friends ,and the meeting for worship there were an hour, and a half long, not just one hour. And some of them were preceded by an hour and a half of Bible reading, which was done in an unprogrammed format, where people would read out a message as led, and the messages there were definitely longer than the two to three minutes that I am used. They were probably more like five to 10 minutes. Then we said in the previous episode that back when meetings for worship were several hours long having ministry that went on for 15 minutes or 45 minutes, or an hour was not unheard of. That those were definitely things that happened. That once you have been sitting in worship for like an hour or two hours there has been time from worth of message to assembly for you to then say it, whereas if were stopping after an hour or in the programmed meeting or stopping after 15 minutes then you may have only gotten bits and pieces so far, and if you were sitting in worship for a longer period then that could result in a longer message. Micah: And this is the problem that I see in churches in general. I think it’s a problem at the Church of the Brethren where I attend, is that we are very bound by the clock. The Church of the Brethren I go to and is true for me too. It’s not just the group. It’s also me. We expect that when the clock hits noon, maybe we don’t expect to get out the moment the clock hits noon, but we expect hey we are gonna be out here in a few minutes. We are about done. Mackenzie: Time to wrap up. Mackenzie: We have things to do with our afternoon. Micah: Right, and this is a problem because I have it as a preacher. That clock hits noon, and no one means for this to happen, there’s no ill will here, but people start to shut done. People start thinking about what’s next as opposed to saying like, hey maybe this sermon needs to go a little bit longer and that’s okay. I don’t know. I think Mackenzie is right in that the way we time box things makes an enormous difference, and also I would like to suggest that the way that we think about preparation makes an enormous difference. And I guarantee you in the olden days when meetings sometimes lasted for three, four, five, six hours there were sermons that lasted for an hour and a half. These sermons were extemporaneous since they were delivered on the spot without notes. I guarantee you they were not unplanned. Micah: Also in many cases it was different back then from how it is today, and [inaudible 00:26:44] for me is they were very impressive and famous ministers who either were local to the meeting or traveling around, and they didn’t have. It was possible for them not preach. They were expected to preach and preach for a while, and so they’d actually … I forget which minister this was, but there was a minister that I read about who was traveling and ministering and for like 10 nights in a row as he was traveling around. It was like several nights at least. He didn’t speak at these big meetings. There were hundreds or even thousands of people who were coming. He didn’t speak, and he was like a built minister who was coming in, because he had the sense that people were there for entertainment, and so he didn’t speak. The minister did not have to speak, but it was definitely expected they were gonna speak, and they were gonna preach for a long time. Mackenzie: Okay, and those big gatherings, those were called public meetings by the way. In Ohio [inaudible 00:27:45] meeting. They are starting [inaudible 00:27:46] meetings again where they try to get 10 of the recorded ministers to all be in one place. They do not get the hundreds or thousands of people showing up. That might have happened in say 1823. Micah: People got video games now. Once TV came on the scene this probably means we are in big trouble because have other things to do. Mackenzie: Right, as opposed to what are you doing on Saturday. I don’t know plowing. Anyway. You can find us on the web at quakerpodcast.org as quakerpodcast on Twitter, Facebook, or Patreon, and on iTunes.